Fabulous frocks. Glistening jewelry. Hot pink cupcakes. Handbags galore. Bloom’s upcoming Frocks & Rocks Charity Fashion Show is guaranteed to make the ladies swoon. Hosted by local celebrity Stephen Walker, this incredible ladies-only fashion extravaganza features a 35+ outfit runway show from local gems such as Fab’rik, Lizard Thicket, Darling Divas, LaLure, Tribal Chick, and more. Now in its fifth year, the one-of-a-kind event is geared towards connecting women with local clothing boutiques while raising funds for The Bloom Closet, a cost-free clothing boutique for foster children in Georgia. Presented by Melanie D. Designs, this year’s highly-anticipated event is open to the public and will be held at Camp Southern Ground on Sunday, August 26, 2018, from 1pm-4pm. In addition to watching the spectacular runway show, guests are invited to shop at the “Jewelry Bar” and bid on unique Silent Auction packages which have been donated by local shops, salons, and spas. This year’s event will feature a heartwarming testimonial from a special guest speaker and a fast-paced “Take Home the Runway” Live Accessory Auction, which includes a variety of trendy handbags, scarves, and hats that are sold directly off the runway. The event also includes delicious appetizers and drinks, raffles, a Live Auction, and a round of the wildly popular “Cupcake Couture” game. 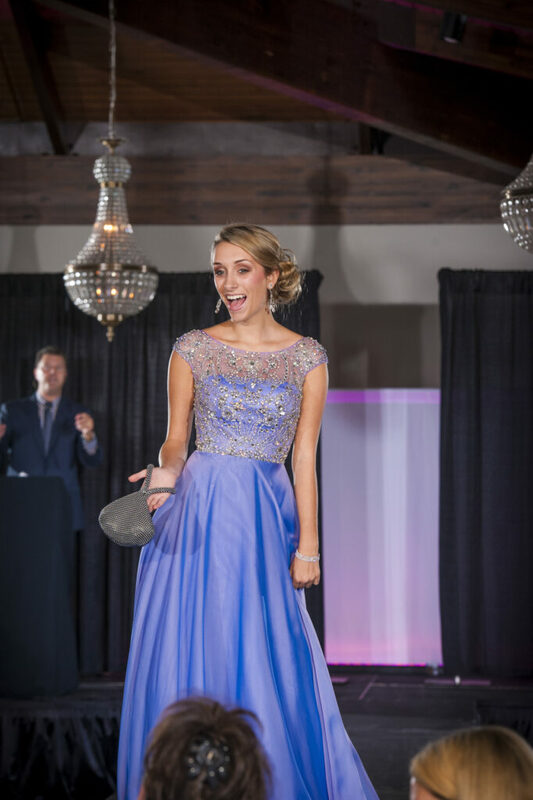 All the local ladies who participate in the runway show are given a true model experience, including professional hair and make-up provided by Glamorama and photography by Davel Photography. STARZ Pageants will be back again this year to judge the runway models and crowning one girl as the “2018 Frocks & Rocks Fashionista.” Once identified, the girl who “rocked the runway” best will receive a sparkling pink and white gemstone-encrusted tiara and matching sash. All proceeds from the fashion show benefit The Bloom Closet, a cost-free clothing resource center for foster children in Georgia. In the past year, The Bloom Closet has provided free clothing and essentials to more than 3,000 foster children from 90 Georgia counties, and given away $700,000 worth of donated merchandise. The Bloom Closet is just one of the programs operated by Bloom, a Fayetteville-based non-profit organization that provides supportive services to foster children. Bloom’s mission is to provide safe shelter and physical, educational, and emotional support to children who have been victims of abuse, neglect or other tragic circumstances in order to strengthen them for the next phase of life. Learn more about Bloom at www.bloomouryouth.org. Guests can purchase general seating tickets for $85 each, or $850 for a reserved table of 10, online at www.bloomouryouth.org/frocks-rocks. For Sponsorship opportunities, please contact Missy Johnson at m.johnsonn@bloomouryouth.org or call 770-460-6652 x 318.